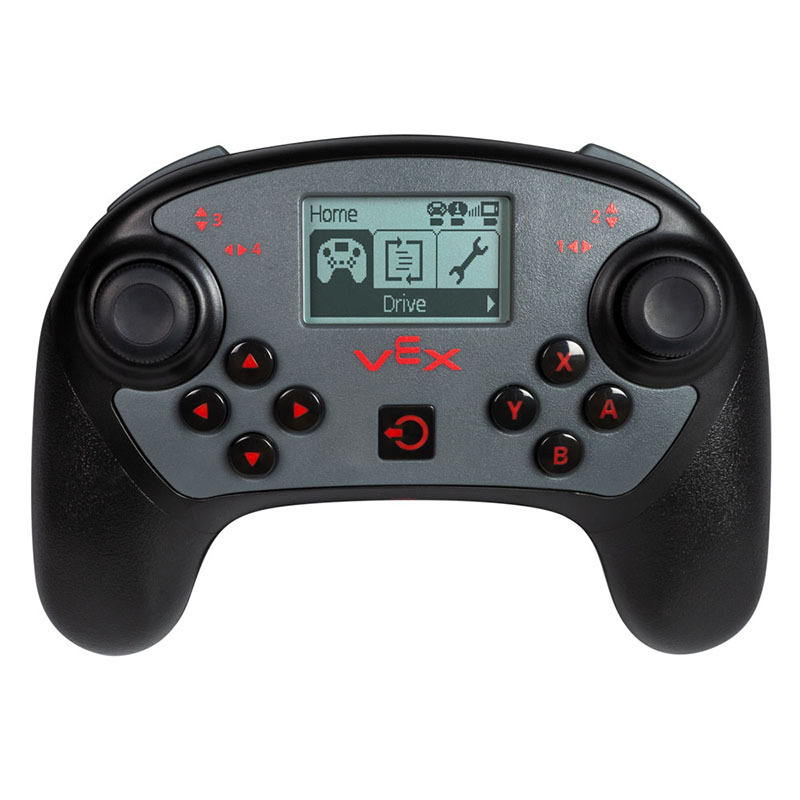 To turn the controller OFF, press and hold the Power Button for 3 seconds. 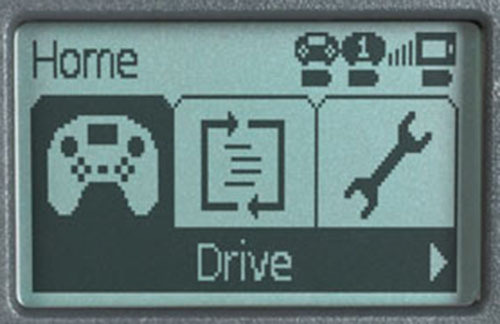 Use the arrow buttons to highlight the Driver Control program's icon (highlighted in the image), the Programs Menu icon (center), or the Settings Menu icon (right). Then press the A button to choose that option. You can press the B button to return to the previous menu.